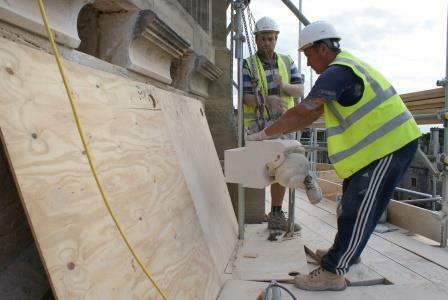 The College of St George has been working in partnership with the City and Guilds of London Art School in establishing an imaginative carving programme which is producing exciting new grotesque sculptures for St George’s Chapel. 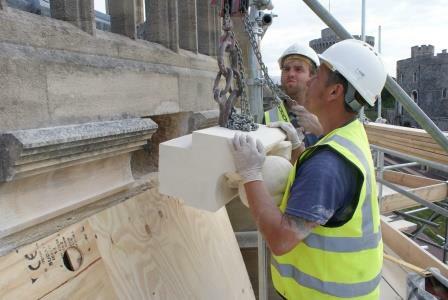 The replacement sculptures aim to reproduce the scale and detail of the original mediaeval conception whilst allowing students the opportunity to be inventive in designing new carvings. 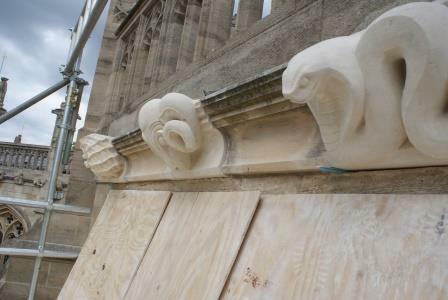 The new grotesques replace heavily eroded Victorian grotesques which themselves replaced medieval carvings of unknown design. 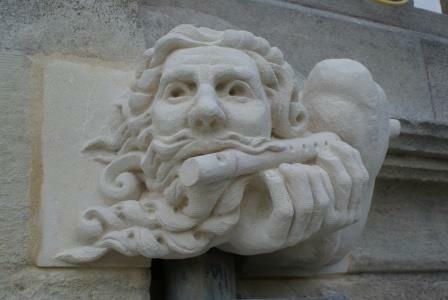 An exhibition entitled ‘Imaginative Sculpture: Protecting the Sacred Space’ opened on Friday 12 September and tells the story of this work. 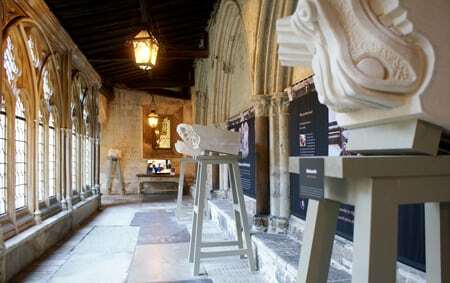 The exhibition in the Dean’s Cloister (at the exit from St George’s Chapel) will normally be open Monday to Saturday 10am to 4pm until 18 December; Windsor Castle admission charges apply. RBWM Advantage card holders have free access to the Castle during visitor hours. A catalogue, priced at £10, is available to purchase from the Chapel Shop in the Dean’s Cloister or from our website – click to purchase catalogue online. 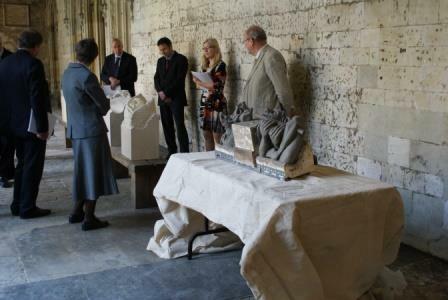 This photograph shows some proposed sculptures being assessed by members of the Fabric Advisory committee. Students were encouraged and mentored throughout the process. Visits to the Chapel by City & Guilds students included a close up look at some of the 15th century wooden carvings in the Quire to help fire their imagination; visits to the City & Guilds by some of the Chapel team and the Sculpture Group of the Fabric Advisory Committee helped the dialogue remain fresh and exciting. At the centre of the exhibition are ten grotesque sculptures together with an explanation of the creative and selection process. 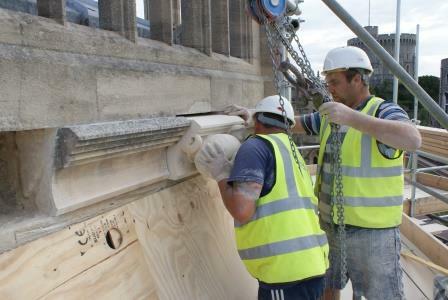 Recently thirteen new grotesques have been installed on the south front of St George’s Chapel. 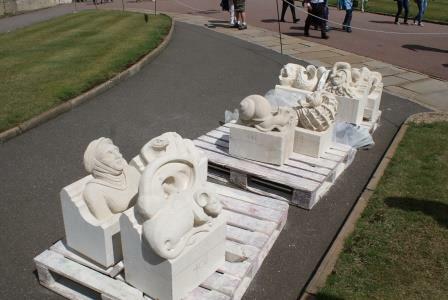 The photograph below shows some of the thirteen on the grass outside the Chapel awaiting installation. 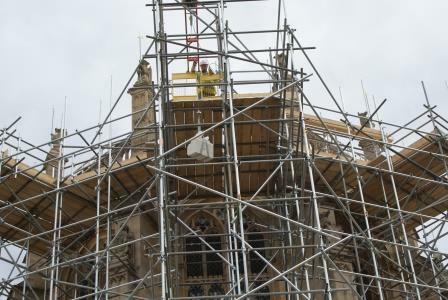 Scaffolding was erected outside the Bray chantry and the south Nave elevation in order to carry a hoist for the carvings to be brought up to one of two high level platforms. 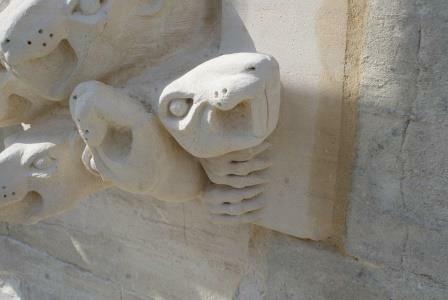 Some particular positions required a pair of grotesques interacting with each other hence these rats and Pied Piper. 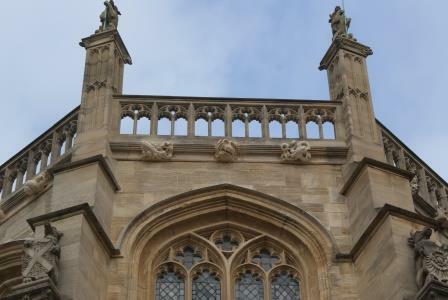 Viewed from ground level after scaffolding was dismantled on 4 September some of the new grotesques can be seen forming part of the architectural punctuation marks on the magnificent 15th century building that is St George’s Chapel. The Dean & Canons of Windsor are enormously grateful to Frederic and Jean Sharf for their generous funding of the exhibition.